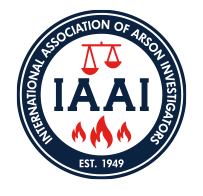 Public and private sector fire investigators are often called upon to provide deposition and trial testimony. Adverse counsel will seek to elicit testimony establishing that the investigator is not qualified under NFPA 1033 or did not follow the appropriate NFPA 921 methodology thereby calling into question the reliability of his opinions on origin and cause. This video intensive course will explain the deposition process in civil litigation, review situations where an investigator can be vulnerable, and teach the investigator how to demonstrate confidence and a strong presence while testifying during a deposition or trial. Specific topics include: Expert witness qualifications; NFPA 921 and the scientific method as used while providing testimony; understanding Daubert; expert reports; the deposition process; expert witness vulnerabilities; and how to testify with confidence.